We made it! 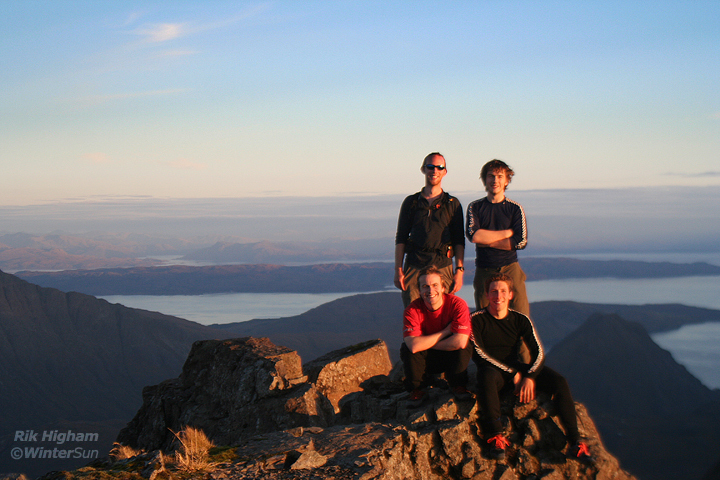 Tired but happy; Steve, Will, Sam and Rik enjoy the sunset on Sgurr nan Gillean, at the end of the Skye ridge traverse. More blog than art today, but I like this photo! More ridge shots in the Albums page.